Until 10 години with 12% anual interest rate. First installment 30% of the price. Sunset Deluxe is the newest and elite phase of the gated mini resort Sunset Kosharitsa located close to well-known seaside resorts - Sunny Beach, Nessebar and Sveti Vlas. The developer of the project is Chobanov & Stoyanov Ltd - part of our corporate group of LUXIMMO HOLDINGS. Chobanov & Stoyanov Ltd was founded in 2004 and until now it has been successfully finished and put into operation more than 20 buildings in 15 developments with a total built-up area of over 150,000 sq.m. Special price offer for all available apartments. Discounts until the end of November! Lower prices are valid only for any payment plan. The apartments in Sunset Deluxe can be handed over to buyers with two types of interior as per the choice of the buyer. The first option is simpler and includes colour solutions of floors, walls and ceilings that are optimal for furniture with as many as possible different types and styles of furniture. This is the option that fits the best to the furniture package type "Universal", but anyway the selected interior solutions are standard and will fit almost any furniture. The second option of interior design is prepared by the leading interior designer of our architectura studio firm, who was hired by us to prepare the final look of the interior of the apartments and the internal communal parts of the building. The 3D visualizations of the apartments and communal areas shown in this listing are made according to this variant. The design according to this option would require minimal additional costs above the standard package. We offer also a third variant of interior design "Individual", which is entirely up to the buyer’s preferences. • fitted bathroom accessories - mirror, shelf below the mirror, holders for towels, toilet paper, soap. Option 2 - "Interior Pro": 20% increase in the price of the property. The interior solutions and entire project are prepared by the talented interior designers of our architectural firm Genig Studio. According to this variant, a special project of interior design was made also for the balconies of the standard apartments as well as for garden terraces of the apartments on the ground level. The completion of the property under this option of the interior requires additional payment from the buyer and an increase in the price of the property within 20%. Option 3 - "Individual interior" The interior of the apartment is according to the buyer’s wishes and taste. The pricing of the finishing works is done by our team based on a preliminary detailed technical task and a professional project from the buyer or his interior designer. For specific tasks we hire a team of subcontractors under the supervision of our project manager, who professionally carries out the tasks of the project. We do not allow the execution of the finishing works in the apartments by the owners themselves or workers hired by them because of the need to keep the overall aesthetic appearance of the buildings and corridors and to ensure tranquility to the other owners in the building and the complex. For us it is impossible to control the actions of third parties in the complex, thus, it is obligatory all such activities to be carried out by a technical team under our control. If the client wishes to make any interior changes, we can connect him/her with one of our interior designers-architects of Genig Studio to coordinate the individual task for interior project of his apartment. In this case, the client works directly with the interior designer/architect and it will not affect the price of his services. The property management company Sunset Management Ltd is entrusted maintenance and management of the buildings and the whole complex. Sunset Management Ltd is allied ownership between the owners of the development company Chobanov & Stoyanov Ltd (part of BULGARIAN PROPERTIES) and two managers of the complex Tanya Gancheva and Hristo Stefanov. 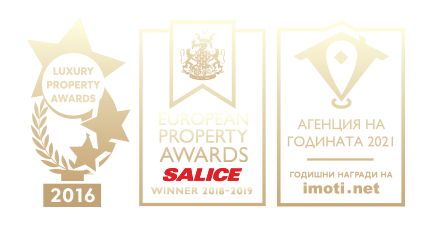 Sunset Management Ltd is a franchise partner of the leading Bulgarian company with the similar activity Property Management BG Ltd and it is working under its professional standards and rules. Sunset Management Ltd has been successfully managing the whole resort of Sunset Kosharitsa since it started functioning, more than 8 years ago. The company has a well trained team, who has been proven its professionalism during all the years of successful work. Services to be provided for Sunset Deluxe are standard plus any other services the owners would need. For customers with higher requirements, the company offers also VIP service. All owners of apartments in Sunset Deluxe pay a compulsory annual maintenance fee just 10 Euros/sq.m (including VAT). It may be changed every year depending on the rate of the official annual inflation in Bulgaria. • Lighting in corridors and common areas of the buildings and playgrounds. • Payment of any annual taxes and fees associated with the ownership of the property - property tax and garbage collection fee. • Organization of preparation the apartment to meet the owners and their guests – cleaning, washing and filling–in refrigerator with fresh food. The price of the service is 36 Euro. • Transportation to and from Sunny Beach with the complex’s bus: regular service several times a day. The price for one-way ticket: 1.50 Euro. • Other services - sauna: 3.50 Euro per person per hour; steam room: 3.50 EUR per person per hour; tanning bed (Solarium): 0.50 Euro per minute; different types of massages: price 20 Euro per Classic type. Tennis: rental of court 7.50 Euro per hour. Clients are offered two standard furnishing packages for an additional payment. We also offer an opportunity for furnishing and equipment of the apartments in the chosen by the buyer look with special design furniture and materials. The view and style of the furniture of our two standard packages are fully corresponding to the interior design (Standard and Pro), envisaged in the project of the finishing works of the apartments (see more information about interior projects above in the text). The style of the furniture entirely corresponds to the vision of the building and the complex. The design is classic, light, simple and functional, fully in harmony with the style of the building and its purpose. The production and logistics of the furniture is entrusted to our subsidiary FURNISH.BG - company for professional interior design services and complete furnishing with extensive experience. The company has furnished hundreds of homes and offices throughout Bulgaria over the last almost 10 years. As per the buyer’s wishes the standard furnishing packages can include or not include certain elements - for example, you can order only the furniture but do not order household appliances or other items from the complete furnishing (lighting fixture, bedding, curtains, cutlery, dishware, etc. ), which you can purchase at your own discretion. Below we give basic information about our two standard furnishing and equipment packages for a studio and we remind that as per client’s wishes, the packages may not contain some items. To find out the exact price of the package without certain items, please specify all details with the furniture company FURNISH.BG, sending a request to real estate agent from BULGARIAN PROPERTIES. .
1) "Economy Package": price – 4,900 Euros for studio, 6,200 Euros for one-bedroom apartment, 7,500 Euro for two-bedroom apartment. This package contains everything you need to use the apartment, including cabinet furniture, sofas, lighting fixtures, household appliance of Crown brand, bed-clothes, blankets, cutlery, curtains, etc. 3) "Individual package": price varies according to customer’s wishes. Under this option, the client or his interior designer chooses the furniture. For coordination of the interior design and furniture style, we recommend our clients to use the services of our interior designer or decorator. In this case, client works directly with our designer from Genig Studio and there is no additional increase in the price for these services. Any customer who wants to furnish his own apartment by himself has this right, but he is obliged to respect the General Rules in the complex and preserve the entire aesthetic appearance of the communal parts of the buildings and the resort. Only long-term for a minimum of 14 days! • All buyers of the apartments interested in a rental income accept and agree that their apartments and apartments of their neighbours to be rented out only long-term for a minimum period of 14 days. • All long-term letting services are organized and coordinated only by the management company “Sunset Management” Ltd., which is negotiated with the companies-subcontractors or rent out properties directly to tenants, enquired on the site. • The management company ensures all necessary marketing services and finding tenants, maintenance of the apartments, caring for their good condition, collection of rentals and payment them to owners. • The fee for the service and management is 50% of the rental. • All owners rented out their apartments receive online access through their own account to a reservation system through which they can check at any time bookings of their apartment - past, current and future. Furthermore, the account gives information about the collected rental amount, covered expenses, planned rental income from future bookings and rental income paid to the owner until the moment. Sunset Deluxe will be included in catalogues, websites and reservation systems of specialized Bulgarian and international long-term rental companies, working in a high-end segment of the rental market. The owners who want to rent out their apartments can expect a rental yield about 5% per year, which will be enough to cover the annual maintenance fees and costs for apartment, while during the more successful seasons even be able to generate profit. Tax legislation in Bulgaria is very favourable and the owners renting out their properties pay only 10% tax on rental income. The owners who rent out their apartments and participate in our special program can use their apartment at any time, but only if it has not been already booked for the desired dates by the tenants. For more details about letting, please contact the real estate agent responsible for the offer and who will connect you to the maintenance manager from the development company to find out all the details on prices for long-term rental, scheme of work and payment, etc. The architectural concept of the buildings is unique and represents marvellously developed idea of a seaside villa with a balanced mix of elements with Mediterranean character, combined with the type of apartments and buildings pertaining to the area of the Bulgarian Black Sea south coast. The facades are decorated with decorative elements, painted with warm and natural hues. The external coating of the buildings is the highest quality of BAUMIT. Every single element of the building is enhanced with additional emphasis and decoration. The roofs are sloped and made of natural red tiles of “Marseille” type. The balconies have wrought iron fences with a special and unique for Sunset Deluxe design. The materials used in the construction are high-quality, mainly of Bulgarian producers, competitive as regards to the quality to the European and world producers. • Immaculate aesthetics and beauty that bring pleasure to all human senses. Separate projects have been prepared for each area of the complex, the buildings and the surrounding areas. Our architects and designers have paid special attention to each small detail part of Sunset Deluxe complex. The different parts and areas of the complex have their own preliminary prepared vision - well thought-out, sized, three-dimensionally visualized in accordance with the entire concept of beauty, comfort and maximum reasonable price. The project documentation envisages all these details so the final appearance of the complex will duplicate the look you see in 3D visualization. Once built, Sunset Deluxe would live fully - with a scent of greenery, the waves in the pool, the warmth of the sun and the caressing sea breeze and mountain freshness. Each apartment villa has a built-up area from only 1,187 to 1,519 square meters, distributed between three floors. With low-rise construction, compact structure and unique design of the villas we have reached the main idea of the project - small and cosy buildings similar by appearance and feeling to the idea of a beautiful seaside villa with a lot of greenery, blue sky and space for a look and dreams. Everything here reminds idyllic atmosphere of the Tuscan Riviera in Italy, that is why we took a lot of these ideas when designing our complex. Here in Sunset Deluxe nothing will remind you about widespread commercial resorts with high-rise blocks and apartments filling the whole space as can be seen widely in the neighboring resorts of Sunny Beach, Sveti Vlas and Ravda. Here each owner will feel special, living in a pleasant environment with beautiful villas, perfect gardens and many facilities gathered in one place. The Sunset Deluxe complex was designed by most reputable Bulgarian architects from Genig Studio, who have a number of successful and fully accomplished projects in the region and throughout the country. The original project of the buildings envisages almost all apartments type "studio" and "one-bedroom", which are designed and placed with an idea to be easily merged into larger apartments at the wish of a buyer. The concept design allows redistribution in order to merge two or more studios into larger apartments as well as to separate maisonettes on 2 floors and even townhouses on 3 floors, each with its own fenced patio and a garden. All apartments on the ground floor have their own yard and garden terrace, which are fenced and landscaped. The maximum flexibility of the types of the apartments and opportunities for choice of different types of apartments by combining one or several studios, one or several floors - this is another element of the specific and unique concept of Sunset Deluxe - the most elite part of Sunset Kosharitsa resort. The premises in each apartment have been carefully considered and sized. They are optimal as a size and organization of the space - without being unnecessarily large and consequently more expensive, and without being too small. Spaces here are compact but comfortable for living. They have absolutely everything you need for year-round occupation, a short weekend stay or a long vacation. Here the spaces are optimized and there is enough space for your furniture, appliances and personal comfort that are characteristic of a convenient apartment. Our experience in the field of holiday homes on the Bulgarian market and abroad clearly showed us that the concept of a vacation and living in a hotel room is unacceptable to the modern style of summer vacations and longer stay, for example throughout the whole summer. Especially when it comes to a vacation of the whole family, it would be complete and pleasant only when family members have a fully equipped and furnished apartment - with all the amenities, facilities and enough space to place personal belongings. That, in particular, we have tried to achieve in Sunset Deluxe! We also know that the value of the investment ranks at the top when you choose a holiday home. With this project, we guarantee you bargain prices so the purchase and exploitation of your apartment will be your joy and pleasure, but not the next stressful and unnecessary expensive investment. Let your holiday home work for you and your pleasure, but not the opposite! For customers who would like to have a larger and more extensive holiday home, we offer an opportunity to combine two or more studios, one or more floors. Thus apartments with larger areas can be separated - type one-bedroom apartment, two- bedroom apartment, penthouse and even townhouse on two or three floors – all they give you also the opportunity to own a beautifully landscaped private garden terrace on the ground level! We also offer an opportunity to remove existing walls and construction of new walls, connecting of floors with internal staircase as well as any types of internal redistribution of the premises which do not alter the exterior of the facade. Each apartment of type "studio" begins with a hallway where a wardrobe and a shoe cabinet are situated. From the hallway you go to a comfortable living room-bedroom where a kitchenette, a dining table, a TV stand, a double bed and bedside tables are situated. The bathroom is large enough for convenient arrangement of all sanitary fittings, without any unnecessary space. It has a toilet, a washbasin and a glassed shower cabin. Each studio has a balcony that is large enough to place a coffee table with two or four chairs. Contrary to the generally held opinion, the ground floor apartments in Sunset Deluxe are among the most attractive and desirable homes by buyers! These apartments come with extensive garden terraces grassed and fenced with a hedge and a decorative gate. It provides to the owners a convenient access to the rest of the garden of the complex, but at the same time making the garden terrace inviolable part of the apartment, accessible only to its inhabitants. We recommend you carefully to check the architectural design and to assure yourself in the advantage to own a private garden to your apartment or studio in order to be able to enter unobstructedly your garden and the apartment directly from the courtyard of the complex or from the pool. The asking price per square meter of garden terrace is fixed at only 200 EUR/sq.m. Apartment on the third top floor have ceilings with a height of 3.00 m, higher than the standard height, which makes them even more attractive and pleasant to live in. If you decide to merge one or more studios on the ground floor of the building in a large apartment, then your landscaped garden can become even larger - from 35 to 50 square meters! The balconies of the apartments above the ground floor are another important element, we have paid special attention to. On the balcony area a coffee table with 2 to 4 chairs can be placed. The balcony is a special place in any home where owners can quietly relax with a glass of refreshing drink in a hand - close to the nature, feeling the wind and the smell of a fresh greenery. The balconies are places where in special niches are hidden outdoor units of air conditioners, so the beautiful facades of the buildings keep their look and air conditioners do not intrude the residents in using their balconies. As we have already mentioned, the main characteristic of the complex is the rich greenery of the yard. Various types of vegetation – bushes, grass, flowers and decorative trees turn the outside parts of the complex into park areas. They include a playground, beautiful gazebos, paths and benches, birdhouses and other park elements. The covering of the internal zones and the yard are designed with mainly natural materials (granite, stone, clinker, wood), which ensures their resistance to the weather conditions and a long lasting aesthetic value. In the basic concept of the building is focused on the studios which can be merged into larger apartments of one or two floors (connected with internal staircase) or even townhouses of three floors, according to the needs and desires of the buyer. At the same time each studio is so large to be itself enough for its residents for usage as a holiday home or an apartment for permanent living. The apartments do not have unnecessary large spaces that increase the price of the property or complicate their maintenance. At the same time the space is so optimally dimensioned that allows equipping and furnishing of the apartments with all the standard furniture, household appliances, facilities and decoration, as well as to offer enough comfort to their inhabitants. • smooth–plastered brick walls, painted with white paint. No gypsum plasterborads will be used! • fitted bathroom accessories - mirror, shelf below the mirror. Holders for towels, toilet paper, soap, which are installed on the walls. If the client prefers a special interior, the development company will prepare a price offer, according to set materials, while the value of the planned materials and equipment included in the standard price of the apartment for "turnkey " for standard finishing works must be subtracted. To ensure the security of the building and the peace of the other owners do not allowed clients themselves or through their masters/specialists to make self-complete finishing works or special interiors – it must be made by workers and specialists of the development company, while the company itself ensure quality fulfilment, timeliness and favourable market prices for quality fulfilment. In the case, when client wishes to purchase apartment with standard finishing works and equipment "turnkey" as described in the offer, he/she pays a deposit, signs a contract and after 30 calendar days the apartment will be fully finished and ready for viewing, inspection and acceptance by the buyer. The client pays the last instalment after accepting unconditionally his/her apartment. The transfer of the ownership with a title deed is done immediately after payment of the final instalment of the price. If the customer purchases on a deferred payment, the procedure for the completion of the apartment is the same as described above. The only difference is that the ownership of the property transfers to the buyer with a title deed after the last instalment of the payment plan is paid. The ownership of the property is transferred to the buyer and she/he can use the apartment as soon as she/he accept the apartment fully completed "turnkey", unconditionally. • Client shall pay a reservation deposit and sign a contract of the apartment chosen. • Client sends to a project manager of Sunset Deluxe complex a detailed assignment in a written form, stating clearly what finishing works, interior design, equipment and other he/she wants to be made in his/her apartment. If possible, the client can apply visual examples (photos, sketches, diagrams , etc. ) in order to facilitate the preparing of the interior design. • The project manager of Sunset Deluxe comes in contact with the buyer via e -mail or phone to ask his clarifying questions and to advise the client as well, highlighting all the important nuances associated with the wishes of the client on the required special finishing works. The communication between the project manager and buyer continues as long as needed and all questions be clarified. • The project manager and designers/architects make interior design, according to the buyer’s requirements. The interior design is handed over in a form of 3d visualisation and descriptive text part where all the details are recorded on the type of work, processes, and technologies. It should be specified the materials and equipment, which plan to be set in special finishing works. The project should be approved by the client. If the client wants corrections in the interior design, it is processed according to the demands and technical possibilities. • A price offer is made based on the approval by buyer’s interior design. It consists a detailed list of all materials and labour with an exact price. A total final price is calculated. A payment plan in accordance with phases of finishing works is offered. Periods of execution of works are specified. The price offer shall be provided to the buyer for approval. If the buyer wants to be made corrections, they can be made and a new revised price offer is provided. • Once the client approves the interior design and the price offer, the contract shall be signed. The client pays an advance payment and special finishing works begin. • During the implementation, the project manager keeps in touch with the client. Any issues are specified arising during the work process. Pictures are send to client reporting about the finishing works have been made. The client supervises the fulfillment and pays further instalments of the price, according to the payment plan and reached phases of the work. • When the apartment is finished and all work processes as well, the project manager invites customers to visit the property for viewing and inspection work. The client may personally or through an authorized representative to inspect the finishing works have been made in his/her property and give comments in writing form. The project manager accepts the comments and the team began working on their clearance within 15 working days. After the removal of the remarks, the client (or his/her representative) is invited again to make an inspection. If there are other remarks, the removal process continues in the same manner until the client is satisfied, in compliance with clauses in the contract. • Upon request, the physical examination/inspection can be replaced with an extensive video and photo material in a high resolution of the property, which reflects fully and in detail each part of the dwelling, each element of the interior. The video and photo materials are made by the project manager and sent to customers in an electronic form for review and approval/corrections. The client pays for the video and photo materials a price of 250 Euro excluding VAT for each new series of materials made (for example before correction and after correction). • The client receives finishing works by official record. After that the client pays the last instalment of the price of finishing works, according to the signed contract. • The transfer of the ownership of apartments with a special interior is done immediately after payment the last instalment of the property price. The transfer of the ownership is not connected to the completion of the special finishing works and interiors by the buyer’s wish. Sizes of premises shown in the architectural plans are pointed out in centimetres and measure the distance from wall to wall in regard to the brickwork without considering plastering above the bricks. According to the Bulgarian State Standard, the thickness of plastering layer on brick wall is allowed up to 3 cm. Therefore, in order to calculate the exact distance between the walls and the size of the apartment it needs to be deducted up to 3 cm of the distance to each wall. Company Chobanov and Stoyanov Ltd. makes every effort to maintain the high standard and quality of the work. In this connection, the standard of plastering layer made by our company is up to 1.5 cm, which guarantees the maximum possible size of the premises. However, the honoured customers to be aware of that in many cases need a variation in the thickness of the plaster to allowed 3 cm, despite our desire to minimize. The construction of Sunset Deluxe and its six buildings (each with an area from only 1187 sq.m. to 1519 sq.m.) will be carried out in phases by one, two or three buildings and their adjoining gardens/communal areas and facilities per year, depending on the number of the sold apartments. The construction of the first building Villa (1) "Marittima" was started in January 2013 and was completed during summer of 2014. Heavy construction works (excavation, shell stage, exterior plastering) of each building will be executed only during inactive months from October to May. In early summer (01.07) each building which is in the process of finishing works will be fully packaged with a special vinyl and construction works will be carried out only inside the building. The aim of the development company will be to ensure maximum peace to the owners who use their homes in the already finished buildings. For this purpose, during the active summer months from 1.06 to 1.10, heavy trucks will not drive near the complex. It will not be permitted noisy activities twenty-four-hours as well as covering with dust and pollution in the area, but light finishing works will be carried out only inside the neighbouring buildings, only during the hours from 08.00 to 18.00. Villa (1) "Marittima" – completely finished and operational. Start of construction 15.01.2013 and completion in summer of 2014. Villa (2) "Romana" – start of construction 01.10.2014 and putting into operation of the buildings with opportunity to use the apartments on 01.07.2015. Villa (3) and Villa (4) – start of construction 01.10.2015 and putting into operation of the buildings with opportunity to use the apartments on 01.07.2016. Villa (5) and Villa (6) – start of construction 01.10.2016 and putting into operation of the buildings with an opportunity to use the apartments on 01.07.2017. After the construction of the first villa the aim of the development company is to finish each next villa and put it into operation with all its adjacent common areas, gardens and extras in early July, which is the first active month for summer vacation. Due to the small size of each villa - from just 1187 to 1519 square meters and a height of only four floors, it will be possible to have easy and unobstructed commissioning for use according to the plan and in a short term. It is possible to have an early commissioning of the last two Villas “5” and “6”, if there is a strong interest in buying the apartments from the customers. All dates stated here regarding to the execution of the construction stages and terms will be written as an official commitment of development company Chobanov & Stoyanov Ltd in a sales agreement, which will be signed with each customer. There will be a penalty for non-fulfilment of some commitments and dates of the agreement. Note: Buyers should bear in mind that in a case of unexpectedly cold winter (daytime temperatures below minus -5°C), natural disasters (storms, floods, etc.) and any other force majeure circumstances beyond the will and control of the development company, all terms in the contract will be extended according to the days in which such circumstances have been happened. Upon occurrence of any force majeure circumstances, buyers will be notified in due course and provided with a adequate evidence by municipality and state authorities. Any apartment can be reserved immediately with a non-refundable holding deposit of 2000 Euros. There are several payment plans available. Upon payment of the second instalment the buyer acquires ownership of the property receiving a title deed and get a right to use the property. The next instalments - according to an individually negotiated plan with the buyer as per his/her wish and financial capacity. The maximum period for payment of the property is 3 years and the annual interest rate is 12% on the balance amount. In the period until the final payment of the price, the buyer is obliged to pay an annual tax and a rubbish removal fee and property insurance from the insurance company Allianz Bulgaria. The buyer gets the right to use the property after payment of the first instalment of 40% of the price. The buyer receives the ownership of the property with a title deed after full payment of the purchase price.